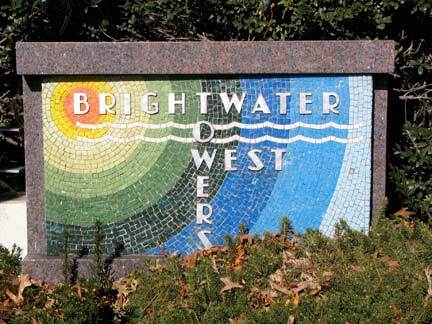 An increase in rent for tenants of the Brightwater Towers in Coney Island "is wrong," says the president of the complex's tenants association, which represents residents of 110 rental units in the complex on West 5th Street. The other 622 units in the complex are condos. Attorney Alan Podhaizer, the association president, said the renters recently received a letter from management stating there would be a rent increase of $5 to $8 per each room of the unit per month to pay back a capital loan for elevator repairs. "We never even saw a figure [for the cost of repairs] -- the increase was imposed after the fact," he told Brooklyn Currents. What really irks the tenants, Podhaizer said, is that the increase is retroactive to December 2012, and is permanent. "The vast majority of tenants are senior citizens living on a fixed income," he said. He has called a meeting for 5:30 p.m. Thursday, Sept. 26 in the building's community room to "galvanize a plan of action." He has invited several politicians, including Democratic mayoral nominee Bill de Blazio, who Podhaizer said will likely send a representative. Calls to to the Brightwater Towers Association, the condo board, were not returned by this posting.